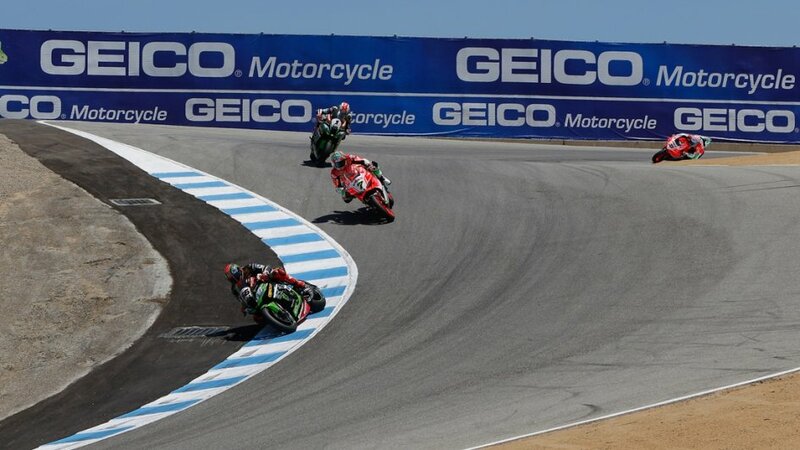 Laguna Seca: A double podium and good placings for Nolan Group riders! Just Superbikes this time round for Laguna Seca, allowing everyone to focus on these 2 races fully. As ever the weekend was full of charm and excitement. The Nolan group riders performed well, as we are becoming more accustomed to every week! Two podiums for Chaz Davies, and a good placing for Melandri in race 1. Good work also by Mercado on a private Kawasaki of a first-year team in the WorldSBK top class. The placements are even better if you consider the rest of the competition, a very tough track with many racers struggling! The next appointment? Our home race, Misano!